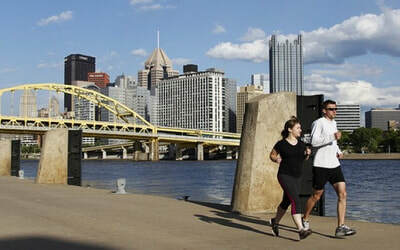 One of the focal points of Pittsburgh that draws thousands of visitors every year is the North Shore. 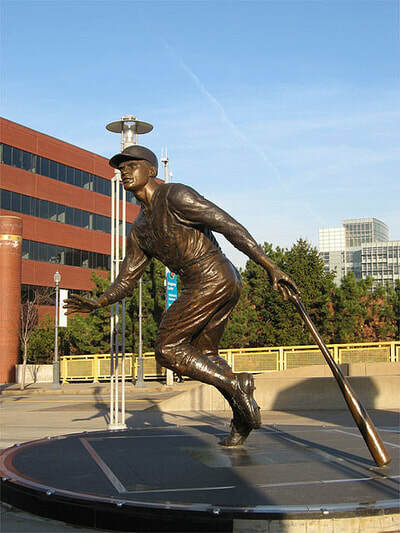 The North Shore is a neighborhood in the North Side of Pittsburgh that is most identifiable by the football and baseball fields, as well as the Emotion Cone that sits on top of the Carnegie Science Museum. 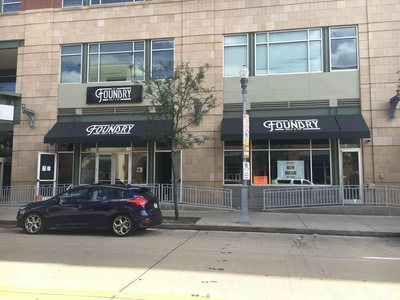 When looking for something to do in Pittsburgh, this is where most people go! 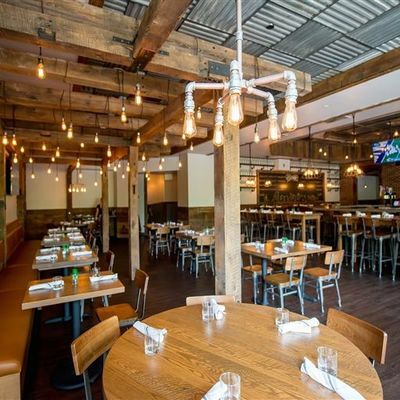 When tourists make the climb to Mount Washington, they typically find themselves at the overlook taking in the breathtaking skyline of the city. Most of what these tourists are looking at is the beauty of the North Shore. 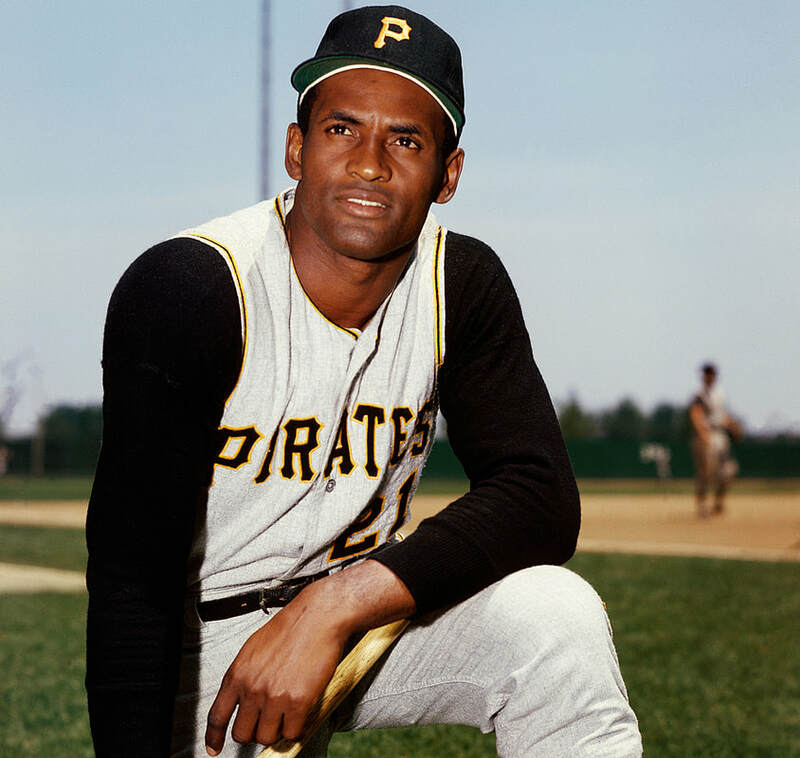 They see the Roberto Clemente Memorial Park that is dedicated to the Pittsburgh Pirates 1955-1972 right fielder. 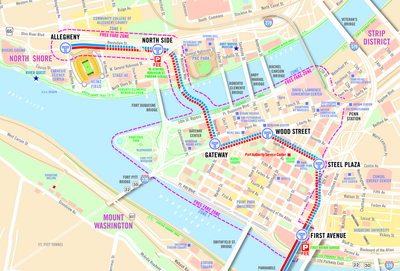 Here you will find a water taxi dock, as well as facilities for boating, fishing, and biking. 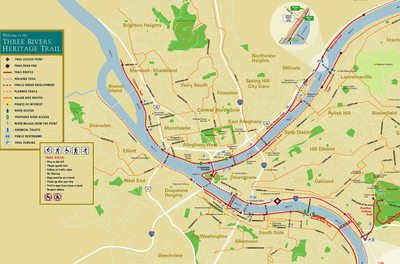 To the left is the Three Rivers Heritage Trail, a multi-use riverfront trail system that is 24 miles long! This trail promotes a healthy lifestyle for the community and safe travelling routes for commuters who bike or walk. The trail was awarded a National Recreation Trail status by the US Department of the Interior in 2010. 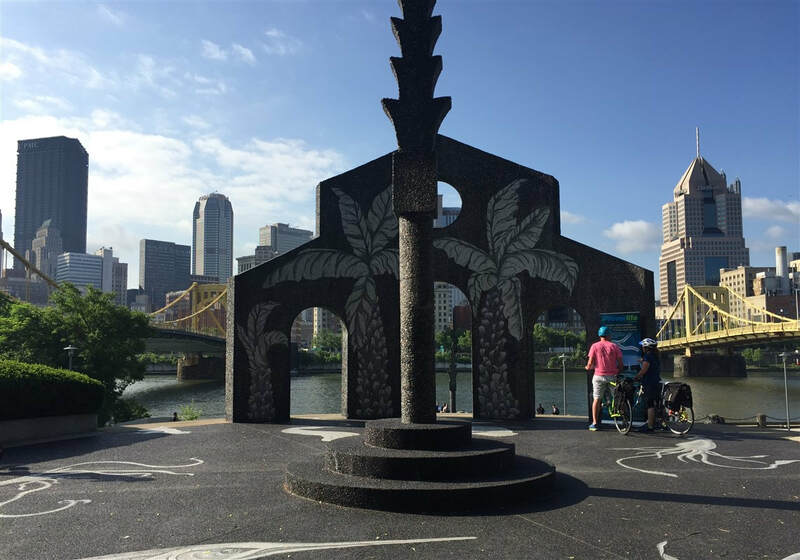 Then to the right of the Roberto Clemente Memorial Park is Allegheny Landing, one of Pittsburgh's first modern riverfront parks and one of the nation's first urban riverfront sculpture parks. 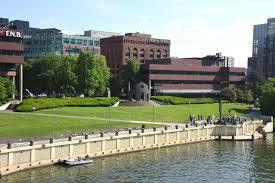 Dedicated in 1984, the park has a boat landing and has gained recognition for the incorporation of recreation and urban landscapes with the arts. These parks make a great place for a family picnic in the city and the trail gives you a great view of the city while on your morning run. 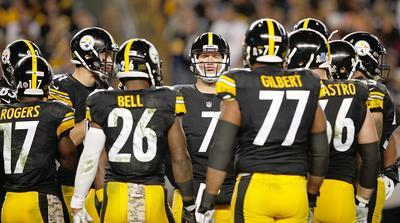 If you couldn't tell by now, Pittsburgh is a sports town and the North Shore is headquarters. Although there is plenty to eat on the North Shore the only shopping to be had is sporting merchandise. 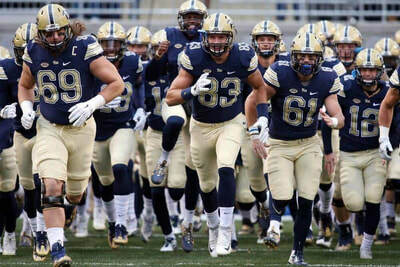 However, that shouldn't be a problem for anyone who loves the city of Pittsburgh, since we are known for our die-hard fans all over the country! 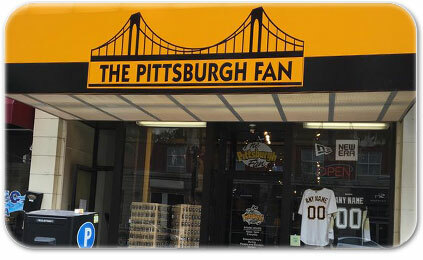 In the North Shore, you can find the Pittsburgh Fan, which opened in 2005, across from PNC Park. 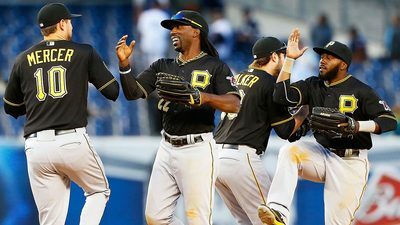 Here you can buy officially licensed MLB, NFL, NBA, NHL merchandise, including Steelers, Pirates, Penguins, University of Pittsburgh, and Penn State Nittany Lion apparel and merchandise. 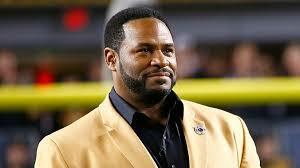 The Pittsburgh Fan is for collectors, casual fans, and die-hard fans alike. 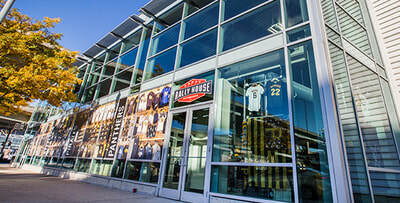 Another great place to pick up your sporting merchandise is Rally House, where you will find a wide range of apparel, game-day accessories, and gifts for your favorite hometown teams. 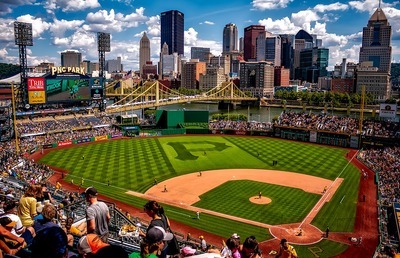 Rally House boasts the largest collection of team merchandise in the area and even has West Virginia University, Duquesne University, Homestead Grays, and Pittsburgh Crawfords merchandise! 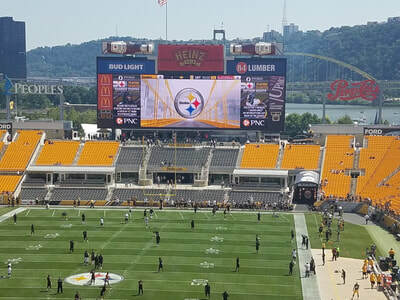 Of course, you can always visit the Steelers Pro Shop at Heinz Field or the PNC Park Majestic Clubhouse store at PNC Park while you catch a game. 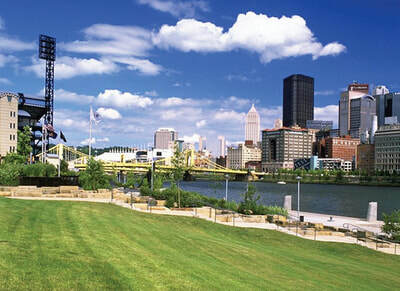 The North Side became a part of the city of Pittsburgh in 1907, bringing with is an assortment of neighborhoods, including the North Shore. 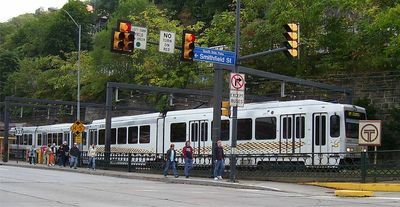 Evolving rapidly over the years, a light rail station was introduced to the neighborhood in 2012 that connects the city of Pittsburgh to the other nearby neighborhoods such as South Hills, Bethel Park, and Castle Shannon. 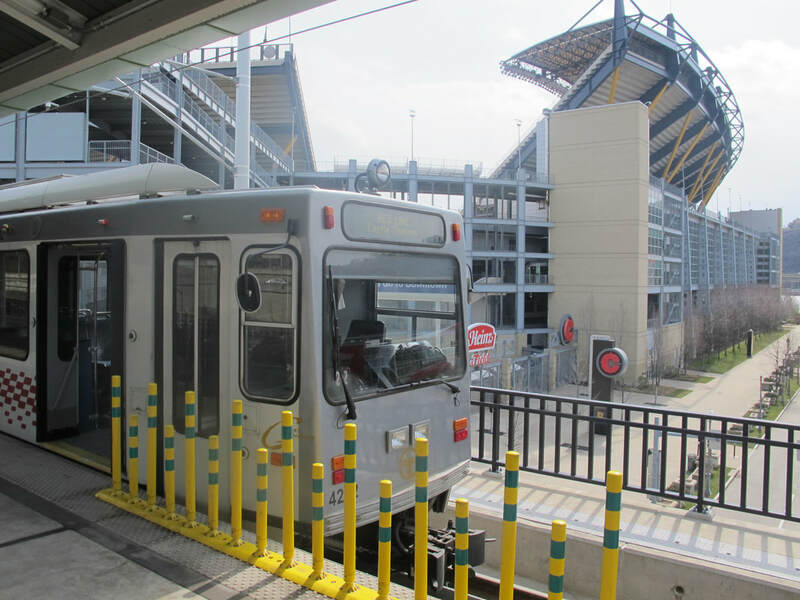 The light rail system, known by locals as the "T", offers a free fare zone and is a great, cheap way to get all over the city fast. 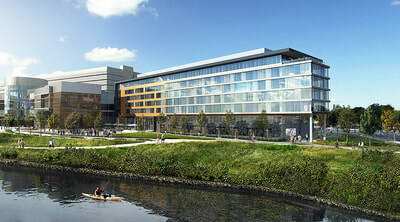 The neighborhood continues to focus developing in the future, with two 11-story office skyscrapers planned to be built and a riverfront hotel as an addition to the casino, the North Shore will be a talked-about destination for years to come. 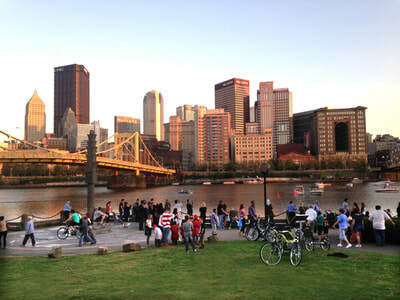 The North Shore is the epicenter of entertainment life in Pittsburgh! 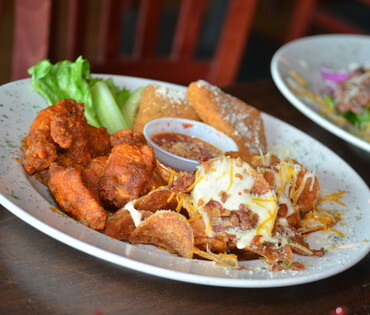 There is something to do for people of all ages and genders and interests! 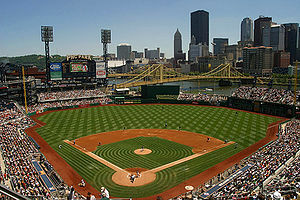 As stated previously, the North Shore is the headquarters for sports life in Pittsburgh. 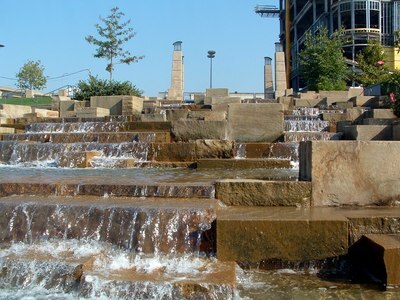 Heinz Field offers many events throughout all times of the year for people to enjoy. 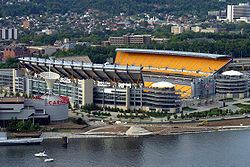 There are NFL games, featuring the Pittsburgh Steelers, NCAA football games, featuring the University of Pittsburgh Panthers, in 2011 Heinz Field was host of the NHL Winter Classic, artists such as Kenny Chesney, Luke Bryan, Taylor Swift, and One Direction have performed summer concerts here, American Idol has held auditions here, and a key scene in the film The Dark Knight Rises was filmed here. 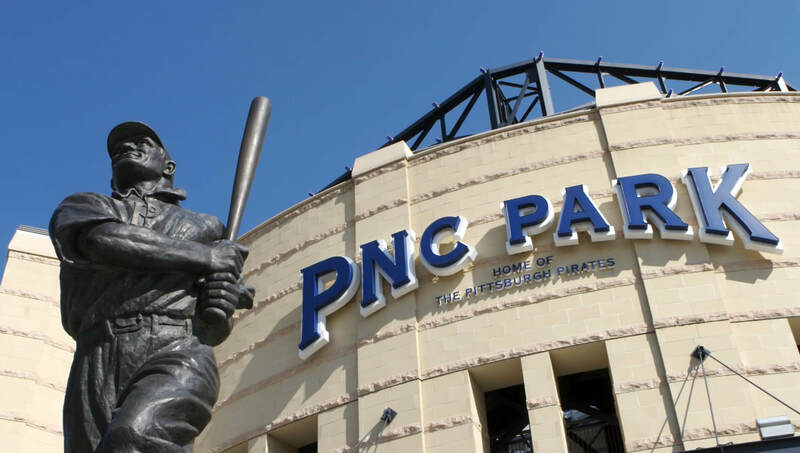 PNC Park, which opened the same year as Heinz Filed (2001), is home of the Pittsburgh Pirates, but not only can you catch a ballgame here, many artists have performed at this venue as well, including Jimmy Buffet, the Rolling Stones, Billy Joel, and the Dave Matthews Band. Movies have also been filmed here as well, such as She's Out of My League, Abduction, and Jack Reacher. 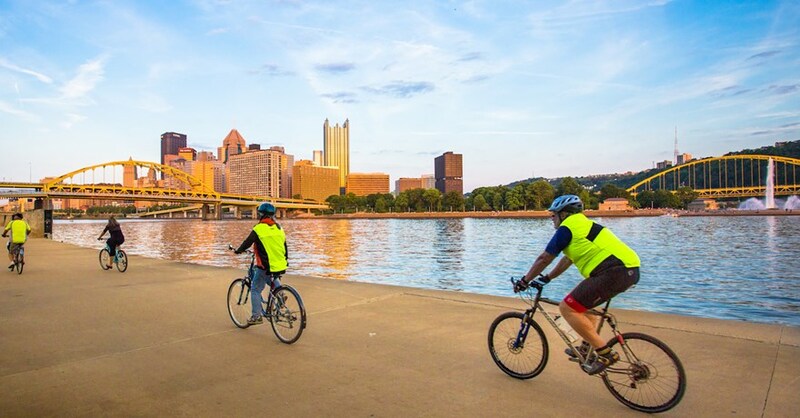 If sports aren't your idea of fun, but you still like the outdoors, there are kayak and bike rentals all along the North Shore. 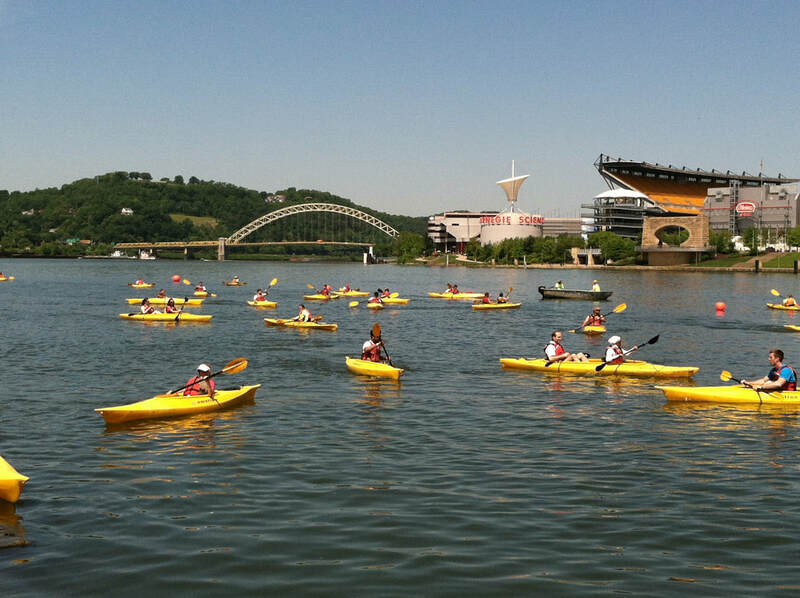 At Kayak Pittsburgh, under the 6th Street Bridge, you will find a "member-supported, local non-profit organization that works to make it easier for people to get outside" in Pittsburgh. To rent a kayak, no experience is needed and if you want experience, programs are offered to people of all skill levels. 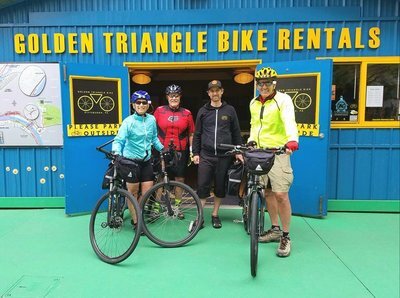 At Golden Triangle Bike Rental, you will find a family owned bike rental and store facility. Not only does Golden Triangle sell and rent bikes, they fix them too. 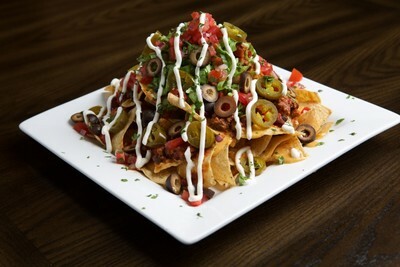 Golden Triangle also offers amazing once-in-a-lifetime programs such as eight day journeys to Washington DC by bike. You can also sign up for guided and self-guided tours, rent helmets, locks, and even tandem bikes! 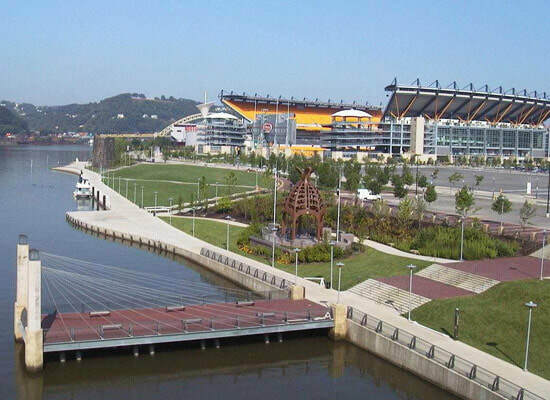 If you still don't want to be outdoors, that's okay too, because for those 21 and over three is the Rivers Casino. 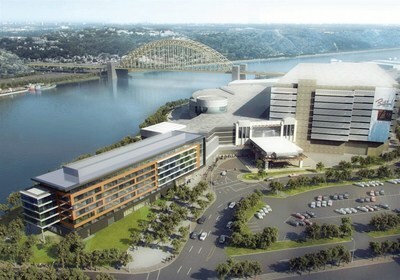 Opened in 2009, the Rivers Casino features over 3000 slot machines and 107 table games, such as blackjack, poker, and craps. 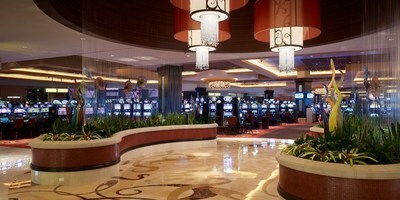 Inside the casino there are four bars and four restaurants. 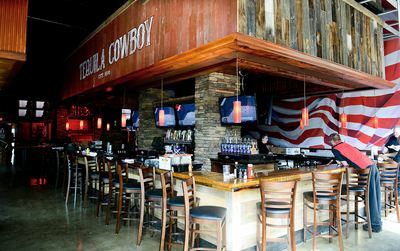 There is a ballroom, that holds events such as weddings and stand-up comedians, a 1000-seat outdoor amphitheater, where a summer concert series is held on Thursdays from June to August. 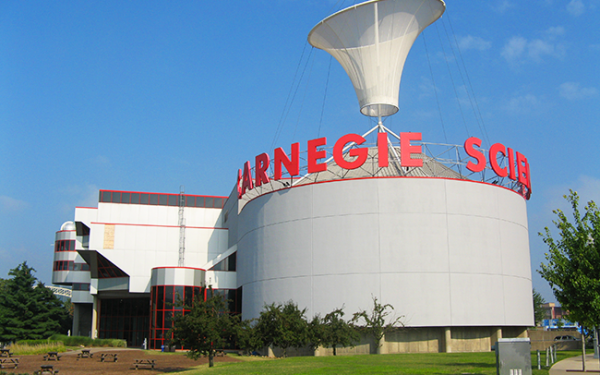 If you are not over 21, across the street from the casino is the Carnegie Science Center. 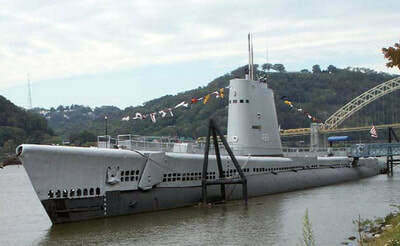 Ranked the most visited museum in Pittsburgh, the Carnegie Science Center has interactive exhibits throughout, as well as the Buhl Planetarium, SportsWorks, the USS Requin (a WWII submarine anchored in the Ohio River), and Roboworld, the world's largest permanent robotics exhibit. 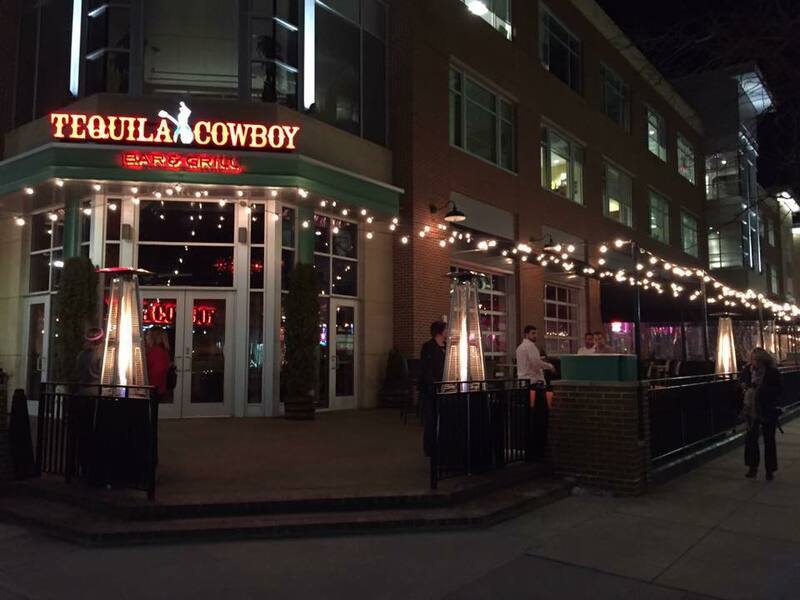 Finally, to satisfy your artistic side, visit the Andy Warhol Museum, the largest museum in North America dedicated to a single artist. 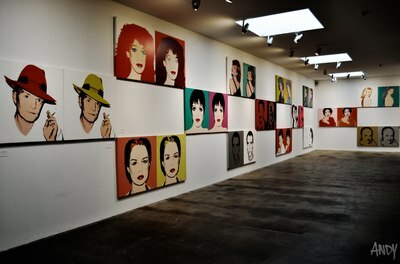 Here you will find an extensive permanent collection of art and archives created by Andy Warhol himself. There are 17 galleries, 900 paintings, 77 sculptures, 4000 photos, and so much more. 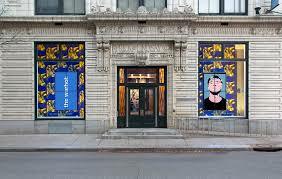 The Andy Warhol museum has stated they are "committed to contributing research and scholarship about contemporary art and Andy Warhol". 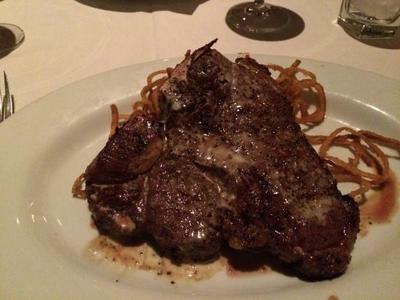 As you can see, the North Shore has provided the city of Pittsburgh with the fame it has amassed over the years. 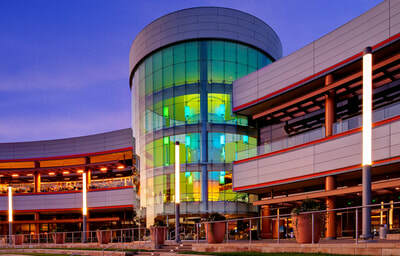 With so much to do and so much to see, this is a top destination spot for anyone visiting the city. 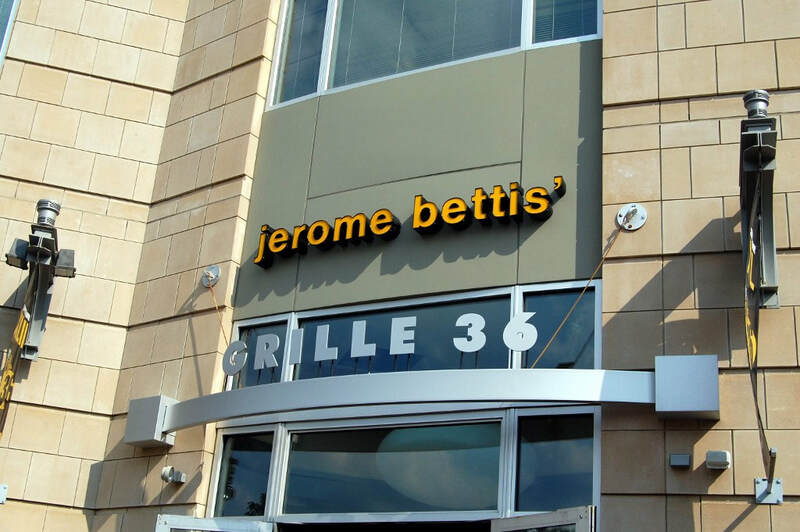 With the plans of future development, the next ten to twenty years are going to be an exciting time for the North Shore and the people in that neighborhood! Get more money when you sell your home!